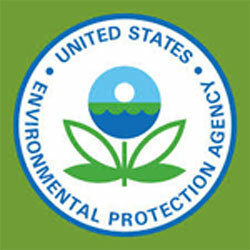 Burns Engineering Services helps generators achieve Clean Water Act 316(b) compliance in the most efficient manner possible. One must thoroughly consider site-specific factors in order to realistically define the feasibility, impacts, and costs of 316(b) compliance options. Yet, most environmental consulting firms have limited technical knowledge of plant operation and generation, often relying on generalities and abstractions which do not accurately assess the factors at the plant. For over 50 years, Burns Engineering Services personnel have been performing hands-on troubleshooting and improving of power plant cooling systems, not just writing studies. With our intimate knowledge of power plant cooling systems, equipment, and power generation, our clients get a firmly grounded and accurate basis upon which compliance choices can confidently be made. In our detailed closed-cycle retrofit evaluations and evaluations of other flow reduction technologies, we provide your utility a site-specific, comprehensive plan that will best support future operation and comply with the entrainment and impingement regulations in the 316(b) final rule. Burns Engineering Services personnel have evaluated flow reduction technologies for over 30 plants. Let us support your facility through the compliance process. We'll give you the technical edge!